If you are into playing with sounds, you really require a powerful audio editor. Whether your intention is to create and edit music or some ringtones, a reliable tool for editing the files will make your work easier. Note that there are many tools on the market and you will need to know how to pick the very best music editing software out of them. If you happen to be new in music editing, you don’t have to spend a lot on software. Make a list of the tasks you intend to complete using the program and look for those features. It’s essential to consider the operating system you will use while editing your work as this will determine the software you require. Remember that there are different programs for PCs and Macs and all the softwares will require certain processor speed as well as space on your hard drive. The computer you will use has to be fast enough to run the editing software or else you will have many frozen screens including headaches. The design of the editing program and the workflow are essential like the specs. So, before you can start spending money on the software consider trying out any free demos or free trials (if you want to buy the sold version). But, if you are looking for the free audio editor, you are at the right place. Make sure that the software can complete the task efficiently and quickly, even without using the instruction manual if possible. The program must feel intuitive and natural for you. Now that the market is offering so many programs for editing your audios, how will you find an ideal tool you use? Fortunately, there is an editing program for almost every budget and skill, making it easier for you to achieve the set goals. A great editor should offer you the tools you need for both music creation and sound editing (cleaning up background noise, re-arranging tracks, and smoothing out tones). Many editors will allow you to connect microphones and instruments directly into the computer soundcard for recording real-time audio. After that, you need to add voiceovers, effects, including other enhancements before you can export the finished file as a WAV file or MP3 files, which can be burned to a CD. The software also needs to support (MIDI) Musical Instrument Digital Interface, enabling you to create tunes as per a common standard. If you intend to create or enhance audio tracks for using in a video, you should look for editors that are integrated with a video editing software. However, if you just want to digitize and clean up your analog collection or make new music, a free standalone audio editor will suffice. For the purpose of enhancing the software’s functionality, most editors will support VST (Virtual Studio Technology). Some plug-ins have the ability to mimic sounds or classic instruments or offer a wide range of effects compare to what the program provides out of the box. In case you think that your audio needs may grow with time, you should select a program that supports VST plug-ins. As you choose an audio editor, you will need to establish the main purpose of the tool you need. After that, you can check out the features to see if there is certain editing software that is suitable for you. User feedback is always important too as it helps you gauge the usefulness of a tool from someone’s experience. 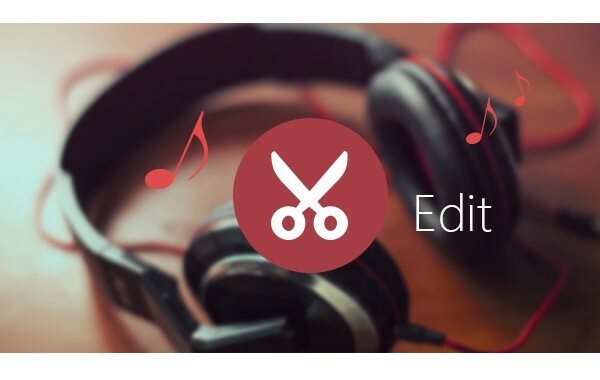 Free Audio Editor is the best music editing software and most powerful tool you can use to edit and enhance your audio files. It’s also the best editor for recording and mastering podcasts and songs. This is according to the description offered by this tool and customer reviews. Once we go through the features, you will understand why it is an ideal audio editor. 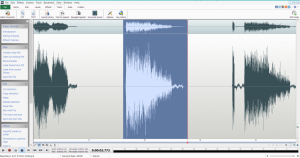 This software lets you edit your audio files using the frequency-based Spectral display or the traditional Waveform View to remove and isolate the unwanted noise easily. Using its selection tool you can choose and edit audio records with millisecond accuracy. In case you are working with an audio content with low quality, you have an option of choosing one of the available tools for removing the noise and revealing sounds that are crystal clear. Free Audio Editor also allows you to get rid of imperfections like pops, hiss, hums, rustles, shuffles, chirps, creaks and buzz by using the most suitable noise reduction tools. It can also reduce voice breath noise and cassette noise. Over thirty native effects and signal processing engines are availed by this tool. Its real-time preview also lets you hear the results as you create the final file version. One thing that makes this software unique from the others is the way its interface is designed. Instead of hiding the options deep in puzzling menus, all you require is availed at your fingertips. Its neat sidebar containing the effects makes it possible for you to get the required tools. You can even bookmark the tools you often use to make everything easier. Download the Best Music Editing Software here and to experience the fast and smooth music editing process. Availed for most desktop platforms, you can think of; Audacity is our second best choice for the free music editor. This tool is great that it can put other paid software products into shame. Although its interface may seem intimidating at first, it can be used even by beginners. This software has a wide range of built-in tools that helps you to begin editing pre-recorded files, stream podcasts and music and capture sound via a microphone that is attached. Support for many audio formats for both exporting and importing is available. The inbuilt effects are also impressive. Audacity also offers wide choices when it comes to third party plug-ins such as making the tool more versatile. It also has a complete manual that will assist you to understand everything about the program, including the so-called complicated aspects. The tool is one of the best music editing software and it supports audio formats such as WAV and MP3 although you’ll need to download a different encoder for the latter. Offers effects like alter frequencies, noise reduction, isolate or reduce vocals including other built-in effects. All these incredible features and sheer power make Audacity a preferred audio editor for downloading today. Check out more details and download the tool here. 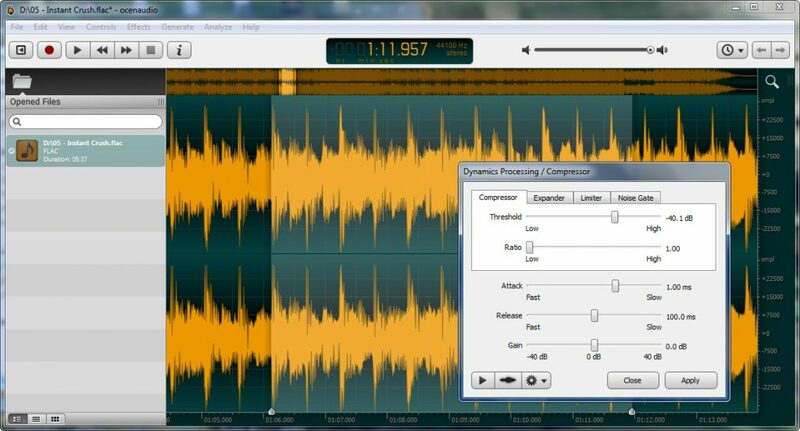 This program is designed to be intuitive and easy to use when editing audios. In just a few minutes, you’ll get to record or open music and then edit it. Additionally, the tool offers other additional tools designed by considering the needs of a professional sound engineer. All you have to do is explore the features. 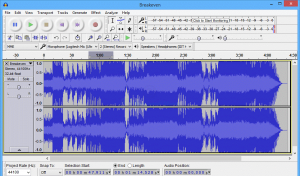 Music Editor Free is one of the best music editing software and is fully featured for Windows. 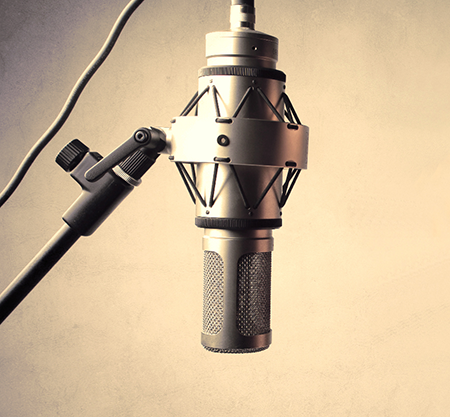 You can get your masterpiece out by recording and editing vocals music as well as other sounds. As you edit, you can copy, cut and paste different parts of records, and if need be, add effects like amplification, noise reduction and echo. The software works as an MP3 or WAV editor, but it can be used with other file formats such as WMV, GSM, VOX, AU, OGG AGG and more. 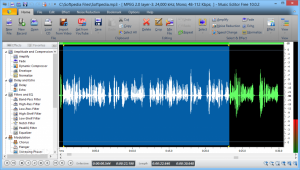 Oceanaudio is a great audio editor ideal for regular audio file processing. In case you want a fast and easy to use editor, Oceanaudio is perfect for you. Just like Audacity, this software is available for different platforms including Linux, Windows, and Mac. Although it doesn’t burst with features, the tool is still suitable for your everyday audio editing. Real-time effect previewing needs to be done since it helps to speed up the work because there isn’t the need to apply a change so as to try it out. A highly detailed selection tool makes it simple to implement the same effect to numerous file sections. You can choose to use locally stored files or open the ones you have stored online while using Oceanaudio. Its spare interface is easily usable, and when you take some time to familiarize yourself with the keyboard shortcut, you will be able to complete your tasks faster. Experienced users can enjoy using this software too since it comes with advanced features too. Oceanaudio is one of the best music editing software but isn’t intrusive, and it remains responsive despite the number of files you open. The user comes first for this tool because it’s created with usability in mind. Allows you to select different audio portions of the file and then edit, listen or apply the desired effect to them. Oceanaudio is great for minor jobs so you might want to consider a more powerful editor for serious tasks. The iPad has for long been a famous tool recognized for the value it offers when it comes to music creation unlike for editing. WavePad is interesting because it is a free editing tool that is also available for Android, Windows, and iOS. The features offered by this software are more than what you will possibly have time to test. One can cut, copy and paste recordings parts and add effects such as noise reduction, echo, and amplification. The tool supports almost every audio file meaning you can always depend on it when you want to edit the most obscure types of files- WavePad can manage it all. WavePad is one of the best music editing software and it offers numerous audio editing options and filters like merging files, trimming, normalization and a high pass filter. You can choose to add extra tools through in-app purchases. You’ll also find more extra touches too including the auto-trim editing function as well as the Voice Activated recording. Batch processing lets you apply different effects and/or make conversions for thousands of files as one function. Can create regions and bookmarks to look for, recall and assemble long audio file segments. WavePad is one of the best music editing software and it comes in two versions: a professional version offering more features at an extra cost and the non-commercial version. As you can see, it’s clear that most editing tools share some common features, but all of them are unique when it comes to the specialized features they offer for different editing tasks. This is the reason we emphasized that you need to know your needs before you can look for an editor. Be sure to try out the best music editing software for free first before you can consider buying the paid version. Most free versions have what you require for many editing tasks. We hope that this list assists you to decide the audio editor you will install on your computer to edit your music.